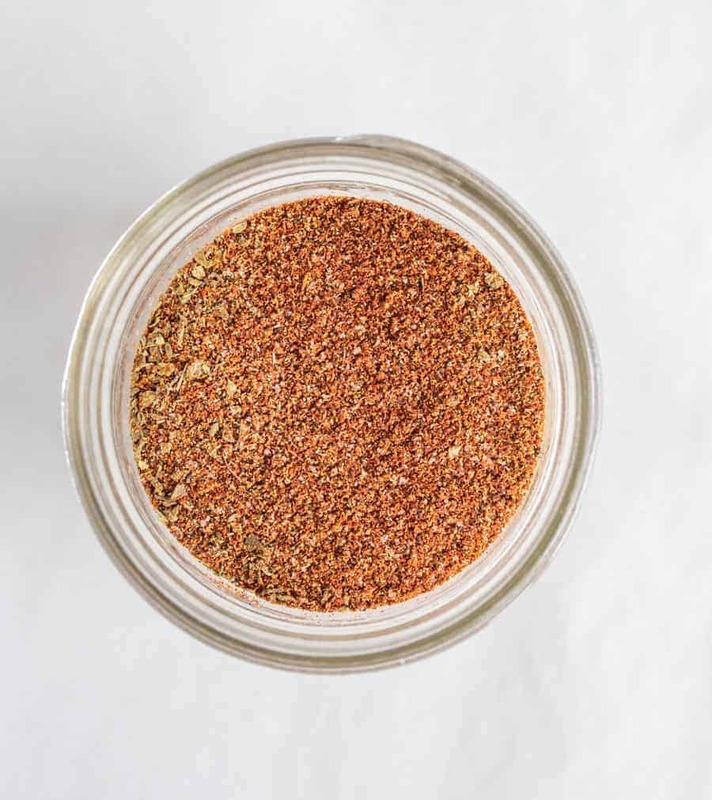 The smoky, earthy flavors of this Homemade Taco Seasoning Mix meld to make a heavenly addition to any Mexican-style dish, plus it’s a fantastic gift! We’ve all grabbed a bag of tortillas, some ground beef, and a packet of taco seasoning at the store when we’re in a crunch for dinner ideas and short on time. Life gets hectic, and easy is the way to go a lot of the time–I’m so there with you. But what if I told you that you could make your own taco seasoning that takes no more than 5 minutes of your time and that you can store to use for meals over and over again? Yep, sounds pretty good! 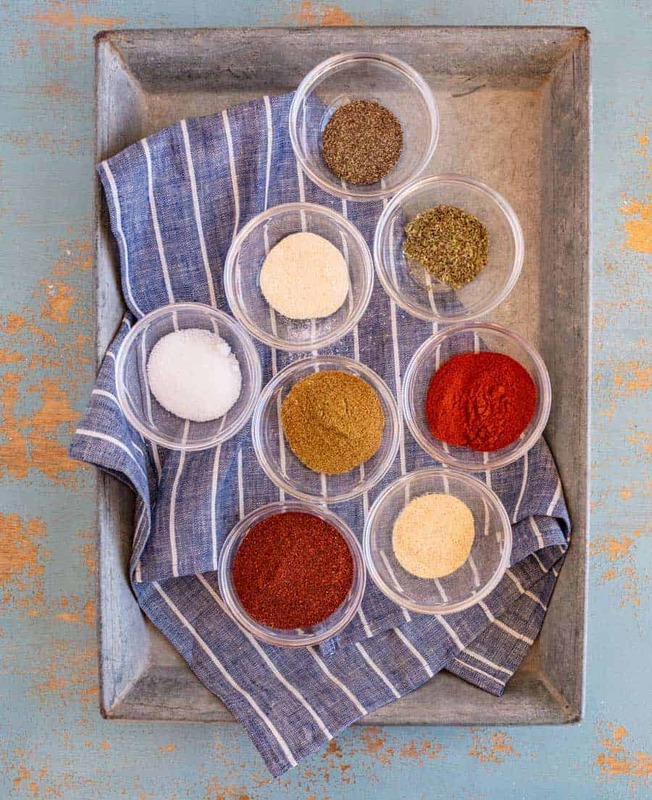 The best part about my Homemade Taco Seasoning Mix is that you know everything that’s in it, so you can adjust to your own palate or your family’s. Like a little extra kick of spice? Toss in a pinch of cayenne. Love the aromatic flavors of garlic? Go with another half teaspoon! There’s nothing better than a customizable meal, and this mix makes that attainable. Make a few jars of it, and give it away to teachers at the end of the school year or to friends at the next get-together you host! What is taco seasoning made of? Every taco seasoning is a little different. I’m a big fan of smoked paprika and the earthy flavors of cumin and chili powder. Those are the three main ingredients in my mix, and there’s also salt, onion and garlic powders, dried oregano, and black pepper. 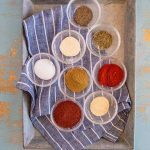 You can adjust any of the flavors to your liking, or even add cayenne, turmeric, or extra herbs, like dried cilantro, if you get a wild hair. The best part of making it at home is that the batch is large enough to use in several meals. About two tablespoons of the mix are equivalent to one store-bought package. When does taco seasoning go bad? The great thing about taco seasoning is that it’s a dry mixture that’s basically self-preserving! If stored in a cool, dry area in a sealed container, it can last up to 2 to 3 years. However, if yours sticks around that long, you might just need to be making tacos more often! Can taco seasoning be used on chicken or other non-taco meals? One-hundred percent! 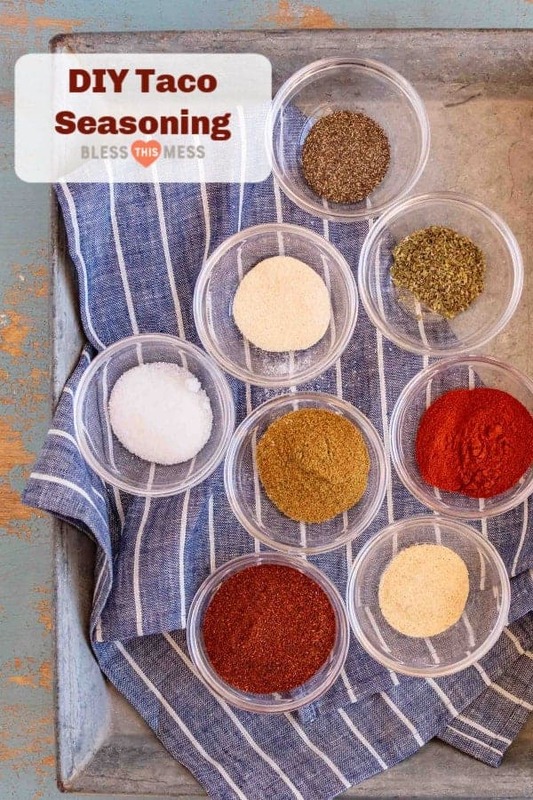 You can use taco seasoning on a variety of meals, and it doesn’t have to be just tacos. Use it as a dry-rub for chicken, pork, or fish. Throw it into a queso dip for an added kick and amped up flavor. Season fajitas, rice, beans, or any other Mexican dish with it. The options are endless! In a small bowl or in a 2 cup (1 pint) mason jar, add all of the ingredients. Whisk to combine well, or add a lid and give it a shake. Store in mason jar, or transfer to another container with a lid. Use like you do store-bought taco seasoning. 2 tablespoons of homemade taco seasoning is about the equivalent of one packet of taco seasoning mix. Adjust salt and spices to your liking. Stores for a very long time, and makes a fun gift to give. New to smoked paprika? It’s a HUGE favorite of mine, and that smokiness that it brings really elevates the seasoning mix. You can omit the salt if needed and then just salt dishes to your liking when cooking. This is one recipe that you are going to wonder how you ever lived without it. It’s so convenient to have in the cupboard, and the seasoning blend is just the taste you’ve been looking for to round out all sorts of meals.